So, you just got your new hardwood flooring installed and it looks beautiful. You see it every day, but now it’s time to clean it and you’re not sure where to start. You get out the trusty mop and bucket and start filling it to wet mop your floors, but what you don’t know is that this is actually one of the worst things you can do when cleaning your hardwood floors. So what now? Where do you start? Here's a quick and easy yes and no guide on what you should and should not use to clean your hardwood floors. Although this seems to make perfect sense, sloshing around a wet mop on your floors could have the opposite effect. It can ruin the finish and actually damage the wood itself. While these may be great cleaning agents around the home in other areas of your home, you should never use them on your hardwood. These products are acidic and can wear away at the finish on your floors causing it to become spotty and even peel. It can take years off the life of your floor! These may look like great options when you're shopping around, but some of these will do more harm than good. 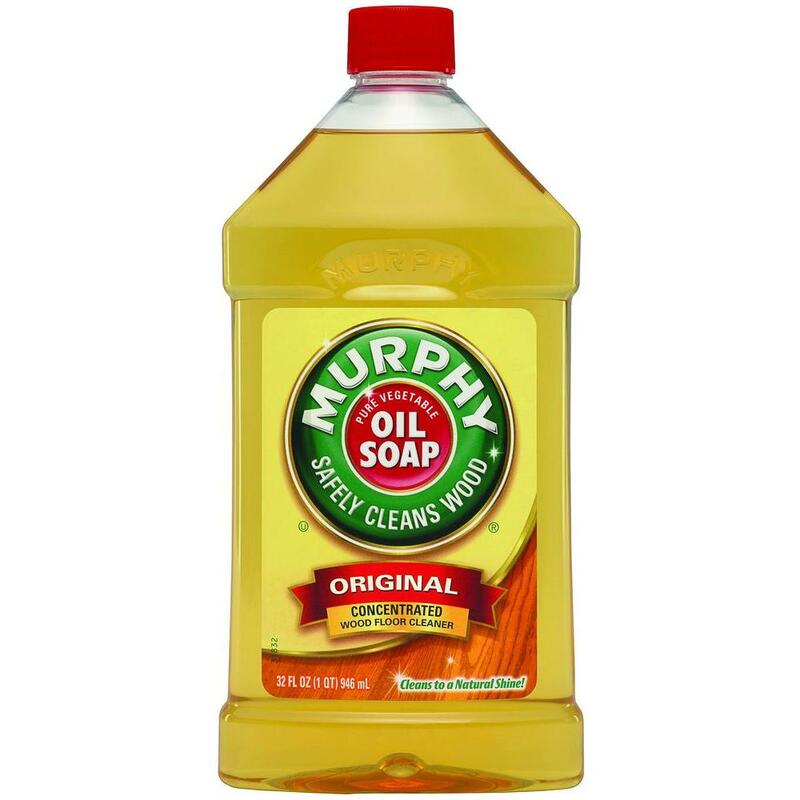 One of the biggest culprits is Murphy’s Oil Soap. Even though it says it is safe of wood, it actually leaves an oily film on the top of the hardwood. With the oil on there, it eliminates the ability to buff or coat the floor again. This may force you to have to do a full refinishing of the flooring since anything applied to the floors will not adhere and may peel off due to the oil in the cleaner. This is another thing that sounds like it may work well, however using a steam cleaner on your hardwood may cause cracking and cloudiness in the finish due to the heat of the steam. Steam cleaners should only be used on surfaces that they are designed for. Hardwood is not one of these. When mopping your floors only use a slightly damp mop. This will help protect the wood from absorbing any moisture which could cause it to crack and expand. This is a cleaner that is recommended by many hardwood floor professionals. It is great for long term maintenance and it friendly with the wood itself as well as the finish. We recommend sweeping your floors at least once a week to keep them from getting scratched by dust or dirt particles. A quick and easy way to accomplish this is to invest in a Swiffer Sweeper. Not only does it pick up the dust and dirt, but it does so on a pad that can be easily disposed of. Keep in mind, however, that we do not recommend using the Swiffer wet pads on your floors. It often creates an oily film on your hardwood. For a quick way to purchase some of our recommend products follow the links below and as always, if you'd like to schedule a hardwood flooring project with us, feel free to contact us via our contact page. We look forward to working with you! Newer PostWhen is it Time for New Hardwood?